Over the 5 or so years that I’ve been visiting National Parks, I have generally traveled in May or September. 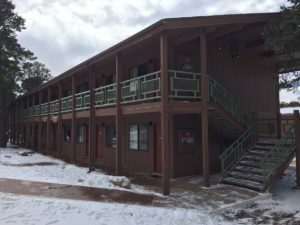 My trip to Grand Canyon National Park (as part of a 9 day trip to Arizona) in February was the first time I attempted a trip during the winter. I have become a bit of a cold weather wuss, but I was determined to take a trip where I didn’t have to throw elbows to get to the good photography spots. 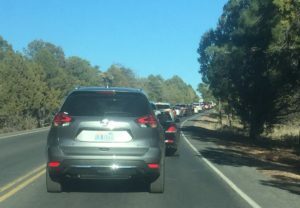 So I was surprised that when I rolled up to the South Entrance at Grand Canyon National Park, there was a huge line of cars. After making it through the gate, I immediately hit another traffic jam that extended for over a mile. Two things I realized: (1) it was the Saturday of President’s Day weekend so it was going to be busy for an off-season weekend and (2) the park was trying to cram construction projects into the off-season. I was disheartened at first, but things got considerably better after that initial bad experience. As I was driving to the park, I regretted not having done more research about where to spend sunrises and sunsets. Once I got there though, I was glad that I hadn’t. My movement around the park was constrained by traffic and by snow so I likely would have been disappointed if I had made firm plans. I had planned on spending an entire day hiking the loop down Bright Angel Trail and back up South Kaibab Trail, but the combination of cold, wind, and snow kept me on the rim. That’s probably for the best because I don’t know if I was in the right shape for that ambitious of a hike. That did free up a lot of time that I had to figure out how to fill. 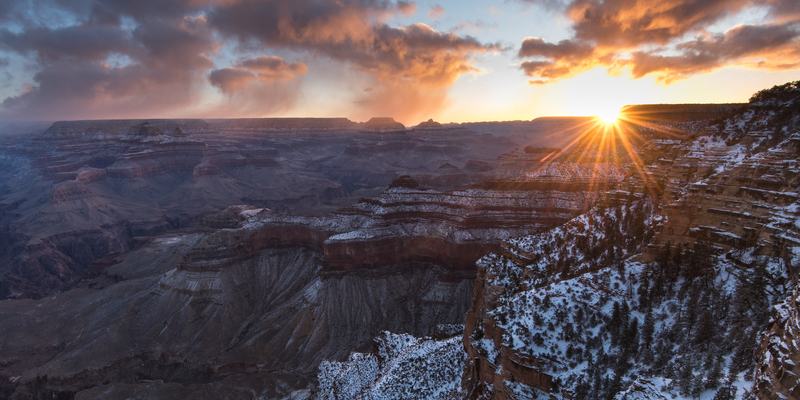 In February, the North Rim isn’t open. It is a 3-4 hour drive away so I’m sure it would feel like a separate vacation spot by the time you got there. 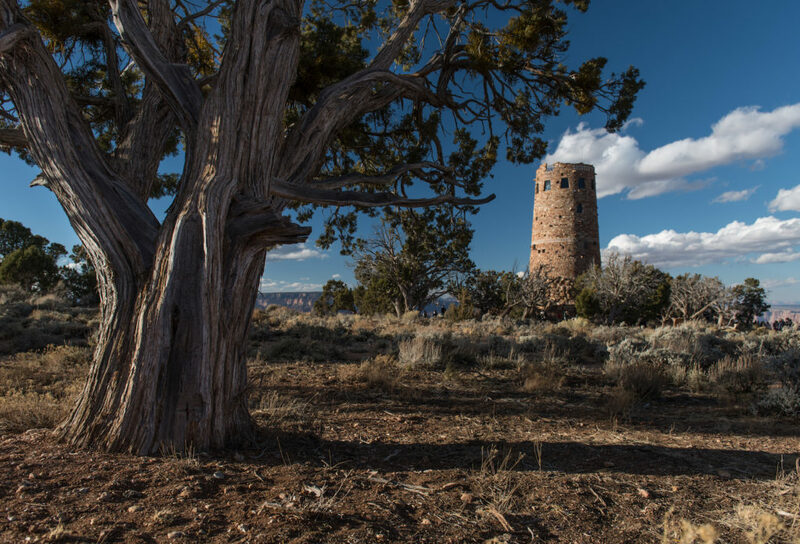 I stayed on the South Rim, making the drive from Grand Canyon Village to the Desert View Watchtower a couple times and the drive to Hermit’s Rest once. As I mentioned in the intro, it was busy when I first arrived at the park. Or it had the appearance of being busy because construction gnarled up traffic. On my first night in the park, I watched the sunset from Yavapai Point with a thousand or so people, but once the weekend was over, I had plenty of room to roam. On my last morning, snow had closed off the South Rim Road so everyone who wanted to see a sunset had only a couple options so everyone was densely concentrated in the Grand Canyon Village area. 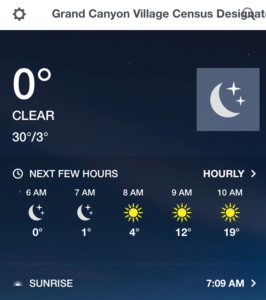 One reason people avoid the winter is the cold and unpredictable weather. I got both during the three days I was in the park. 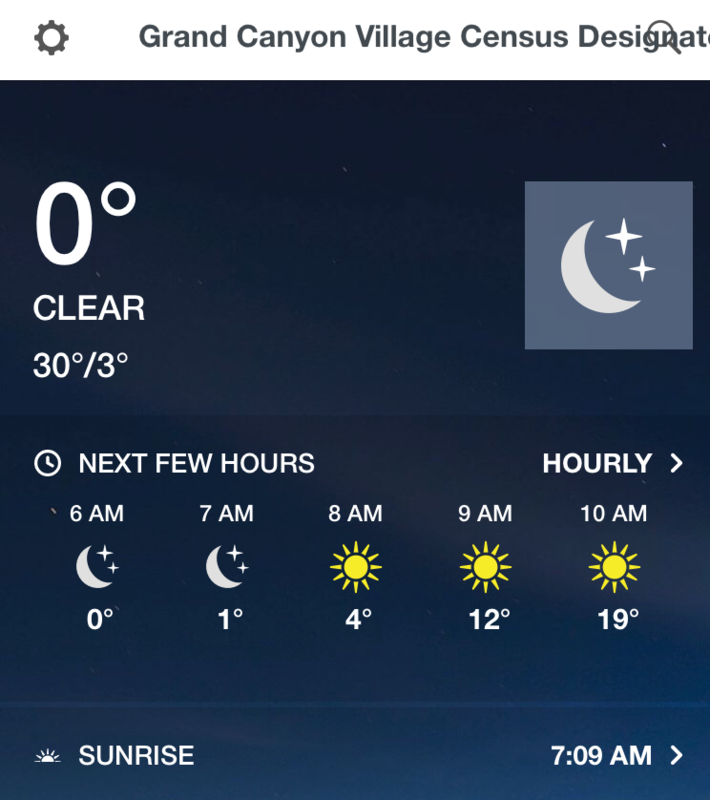 When I arrived it was in the upper 40’s and felt great. My first full day and the morning of my second day were windy and cold. Then the snow set in. I don’t know if the weather technically counted as a blizzard, but it was close. I hiked up the El Tovar Hotel just in case there was a break around sunset. There wasn’t. Just harder driving snow. While the snow cost me some freedom of movement and a sunset, it led to one of the most spectacular sunrises I’ve ever seen. I stayed at the Maswik Lodge. While it may not be the most scenic place in the park, it was relatively cheap. There is a small town outside of the park, but I am very glad that I stayed close to where the action is, especially when travel was tough due to the weather. I also would not wanted to have to deal with the traffic backups at the gate every day. The rooms are basic, but that’s sort of the point when in a place like the Grand Canyon. I’m pretty sure the TV in the room was the same model I had in college 20 years ago. There was no wi-fi in the room, which is why I had to go to the office/food court building. Getting to and from the lodge was a bit of a challenge because of all the road construction, but I eventually learned my way around. As per my usual plan, I stopped at a grocery store (a Safeway in Anthem, AZ) and picked up enough groceries to last my entire 9 day trip. I got cans of soup, jerky, water, fruit, pre-made sandwiches, granola bars, etc. This made up the majority of what I ate in the Grand Canyon. I did get a couple slices of pizza at the Pizza Bar in the Maswik Food Court as I was there using their wi-fi when I was stuck in the Village due to the snow. The pizza was OK, but it tasted especially great after a couple days of canned soup and granola bars. To save a bit of money, I decided to fly into Phoenix and rent a car. 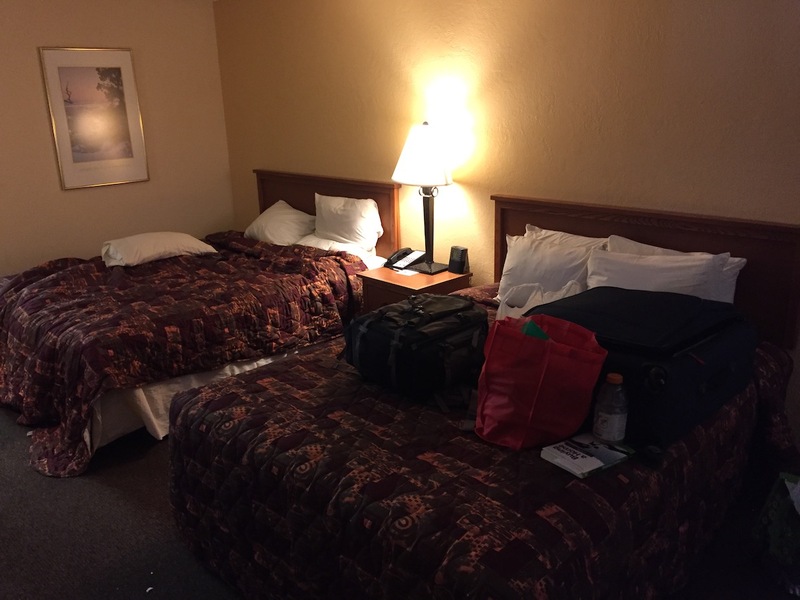 After managing the gauntlet of the airport and rental car place, I was on the road for the 3 ½ hour trip to the Grand Canyon. With brief stops for groceries and gas along the way, I made it around 2:30 in the afternoon. As I mentioned in the intro, I was surprised that when I hit the gate that every lane was 10 cars deep and people seemed to be chit-chatting with the rangers as they went through. My plan was to hit an overlook or two before checking into the hotel. I didn’t get very far into the park before I hit a long line of cars. It stretched as far as I could see. I wasn’t quite sure what was going on while I sat and got more and more frustrated. Eventually, I decided to go to the hotel first and then see about going out for sunset. Once I cleared the construction that was causing the delay (turns out they are installing fiber optic cables to give better wi-fi at the hotels in the Village area), I got lost trying to get to Maswik. I ended up at the Yavapai Overlook. While I was there I looked around a bit and then jumped back in the car and slogged my way to the hotel. After checking in, I headed back to Yavapai since I knew I could hit that without getting stuck in traffic again. I climbed (‘climbed’ is a strong word) down to a lower ledge to take photos. By the time sunset hit there were hundreds of people on the ledge above me. Being so close to the Village, I came to find out that this is a heavily visited overlook. There was a beautiful sunset that night, but it was not in the right part of the sky to capture it from the overlook. I switched lenses several times trying to do everything I had planned all in the first night. I was content to get the photos I did and ready for all of the possibilities of the next day. On my first full day in the park, it was cold. Despite that, I ventured out in the dark to drive Hermit’s Rest Road. I stopped at the first couple overlooks and walked out to the ledge without my camera to see what the view is like (or at least as best as I could in the twilight). I settled on Maricopa Point and went back to grab my camera gear. I was there for about 45 minutes before the sun came up so my fingers were pretty sore by the time I got my first pictures of a cloudy sunrise. I then jumped in the car and continued my drive toward Hermit’s Rest, stopping at the overlooks and occasionally taking photos. At Pima Point, I saw that the sun was breaking through the clouds a bit causing light beams. By the time I made it to Hermit’s Rest, you could actually see blue sky though the temperatures were still quite low. 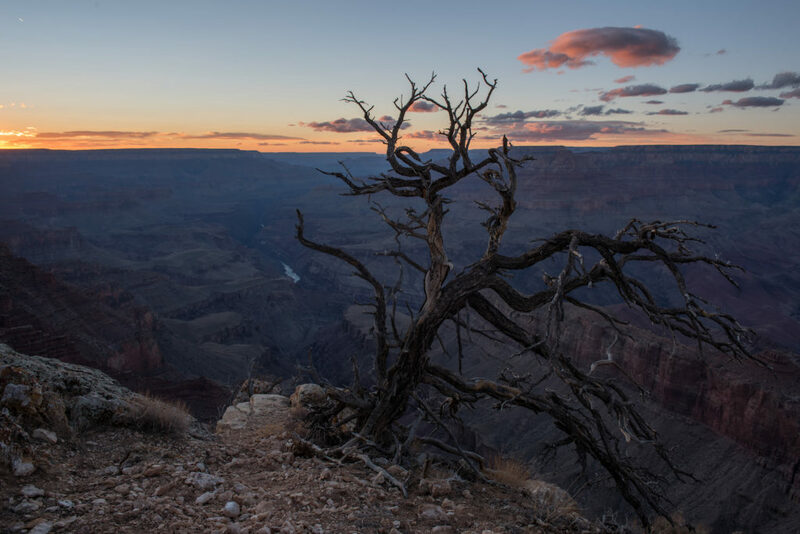 Along the way, I talked to a photographer who said that he had spent the previous night’s sunset at Lipan Point and recommended it to me. So my plans were set. I spent the remainder of the morning in my hotel room, warming up and catching up on some reading. In the late afternoon, I set out down Desert View Road with the plan to eventually wind up at Lipan Point. 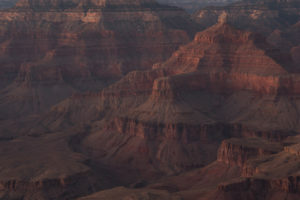 I stopped at the major overlooks along the way; Grandview Point, Moran Point, Lipan Point, Navajo Point, and Desert View. All of them were great, though the lighting wasn’t quite there for good photos. Along the way, I was taking notes at where I might want to go for sunrise then next morning. I made my way all the way to Desert View and went up in the tower just before it closed. 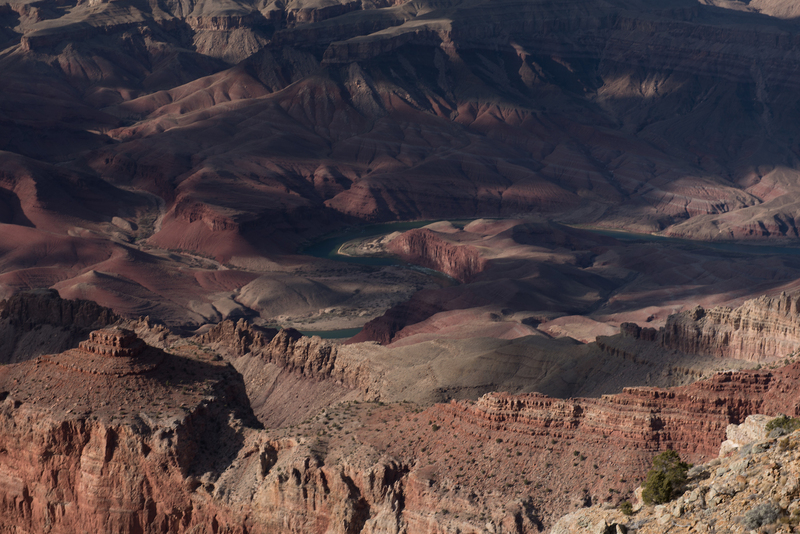 I then drove back to Lipan Point. As the gentleman that morning had warned me, it was nearly full. Luckily, I had arrived well before sunset so managed to get one of the last empty spots in the lot. When I was there earlier in the day, I had spotted a tree that I wanted to use as a foreground in my photos. I hiked my way back to that tree (just a short distance down from the overlook) and set up my camera. I camped on that spot for about 45 minutes until the sun finally hit the horizon. I was shooting into the sun and none of those photos came out. When the sun finally touched the horizon, the little bits of sunset color there were came and went fast. I furiously snapped my photos and worked through several different compositions I had thought of for the previous three hours since I had first visited that spot. I knew there was going to be snow on Day 2, but wasn’t sure what to expect. 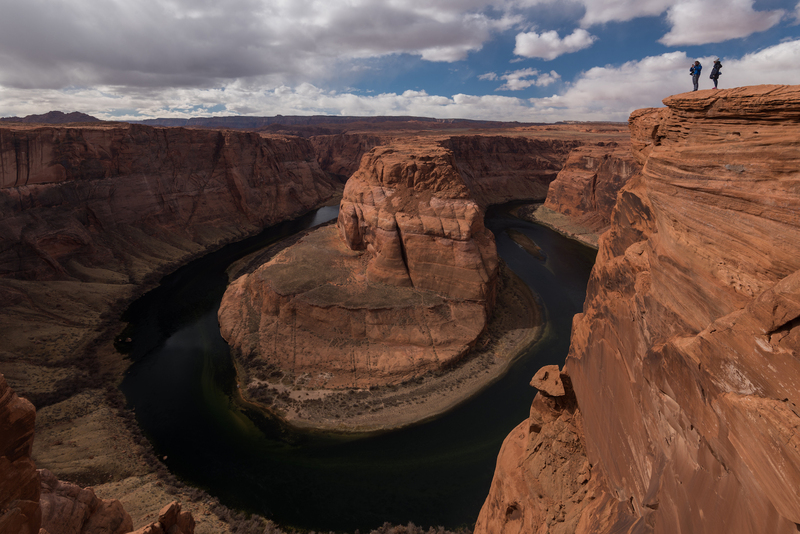 My initial thought from my drive the night before was to go back to Lipan Point, but I didn’t want all of my shots to be from there so I stopped at Moran Point instead. There wasn’t a single person there for the hour or so I spent there. It was nice having some time to myself after the busy (though I’m sure not the same as on-season busy) previous day. After Moran, I headed back to Lipan to see what it might look like in the early morning light. I found another photographer was positioned at the tree I had shot sunset at the night before making a timelapse. I was a bit frustrated because I wanted to try it again, but as I waited I saw a hiker go further down the ledge than I had gone and then come back up. I walked out that way and found some even more beautiful views than that tree. I had locked myself in on that too early. I took a few photos and felt the first flakes of snow. All the while the wind was blowing about 30 mph. I decided to go back to my room and wait it out. 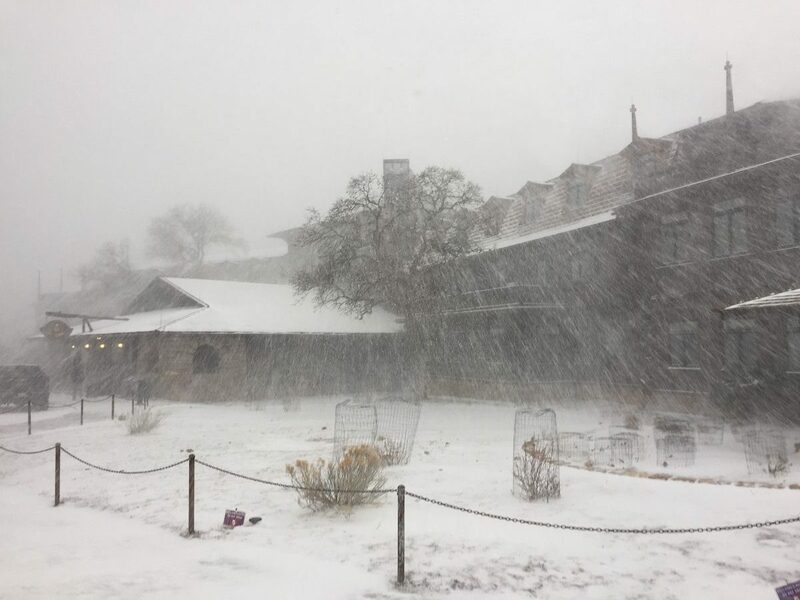 By noon, the National Park Service had closed the roads out of the Village area, both Hermit’s Rest and Desert View. Given the unpredictability of the weather there was no estimate on whether they would be open for sunset. 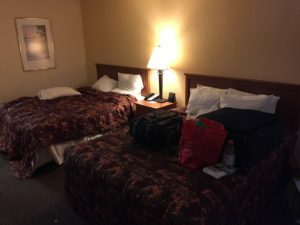 I spent most of that day in the room or in the Maswik Lodge doing home-related things (e.g., shopping for insurance); not the most exciting thing to do while on vacation, but still necessary. 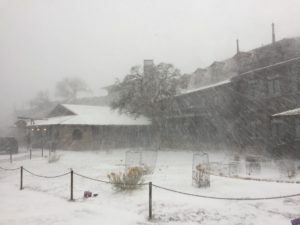 The snow let up in the afternoon and I thought there was a chance things might open back up, but the Grand Canyon website and Twitter account had no updates. 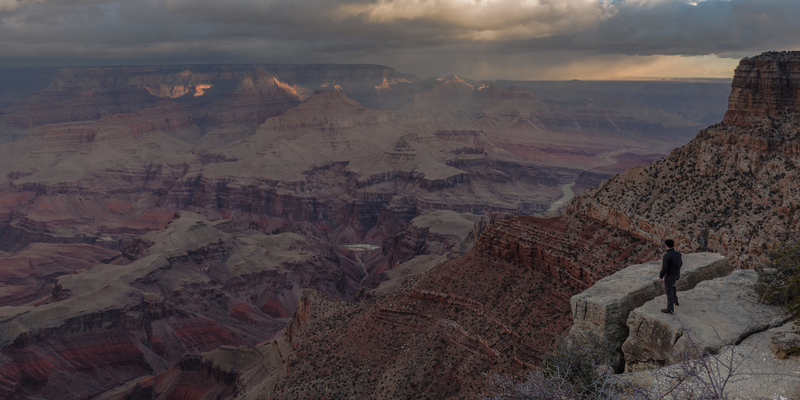 I decided that I would head up to the El Tovar Hotel to get a view from the Rim if there was going to be a break in the clouds large enough to get some sunset light. As I left the room, I realized that probably wasn’t going to happen. The snow was driving again, stronger than it had earlier in the day. It was nearly a white out and there was ice everywhere. 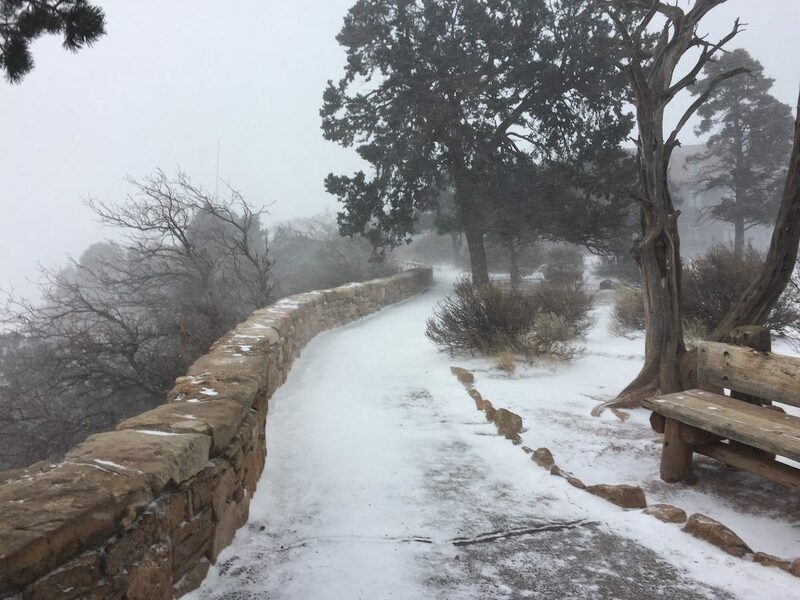 I slipped and slided my way up to the El Tovar as the snow fell harder and the winds got stronger. Eventually, I realized that sunset wasn’t going to happen and hiked my way back to my room. On my last day in the park, I had planned to photograph sunrise and then immediately head out to Page, AZ. The snow had stopped shortly after dark the night before, but the roads still hadn’t opened up. This left me with very few options for sunrise. So I headed back to Yavapai. I was the second person there and found a good spot on an overlook that had a view of the East. By the time the sun came up, there were dozens of people, including quite a few photographers with their tripods. The sunrise did not disappoint. It was one of the most beautiful I had seen in my life and the snow added amazing, and relatively unique, interest to the photos I took. After sunrise, I had to figure out how to get out of the Grand Canyon. The shortest route from where I was to Page would take me along Desert View Road, but that was closed. I waited to find out when it would open. And waited and waited. Eventually, around 9:30, I decided to go the long way around through Flagstaff, adding about 1.5 hours to the total trip time. Desert View Road did finally open back up around 12:30, but I was long gone by then. There are a few things that I would have liked to do, but was thwarted by the weather. First, I would make the long hike down to the Phantom Ranch and back. 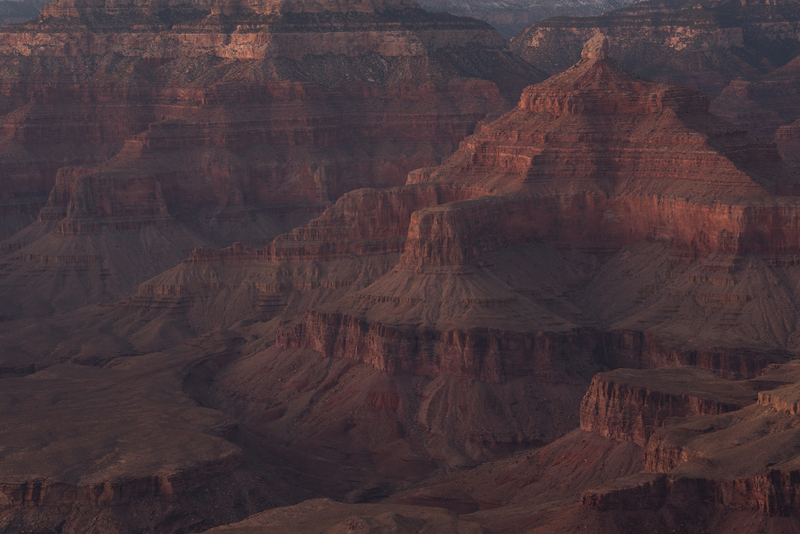 The Rim is great, but it is difficult to take photos that show off the scale. My hope is that it would be easier to do from the bottom, looking up. I would also spend more time in the forest along the Rim. I was planning on going out on the afternoon of Day 2, but the road was closed. I would liked to have seen some wildlife, but at least get some neat forest pictures which people don’t think of when they think of the Grand Canyon. Finally, I want to get back to visit the North Rim. I have seen some amazing photos and the relative remoteness of it means that, hopefully, there will be fewer people. There aren’t many iconic photos of the Grand Canyon. 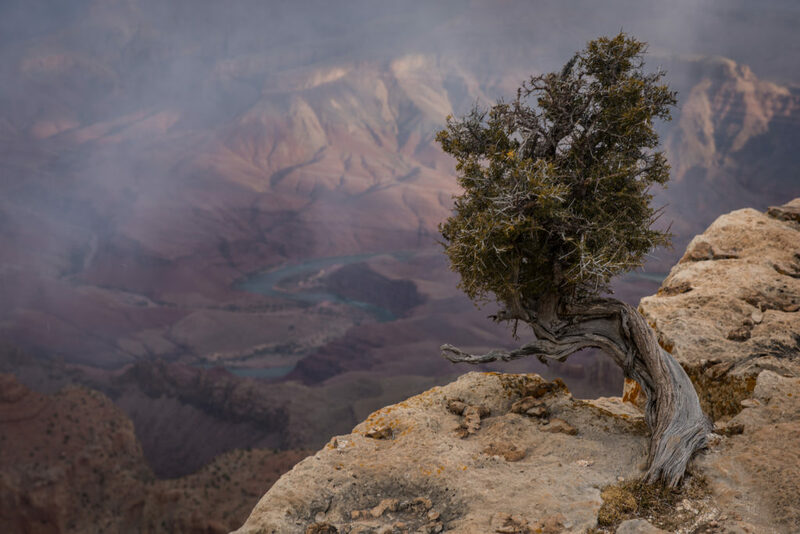 I mean, people have great photos, but you wouldn’t say “Oh, that’s from Lipan Point.” So I wasn’t sure what to expect and/or daydream about. 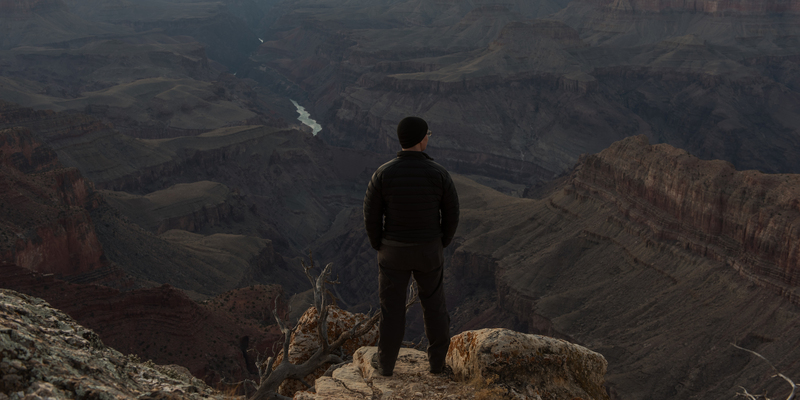 I thought most about photos of the canyon with some person, tree, or other object in the foreground. Seeking out those objects, or placing myself in the photos occupied most of my time. 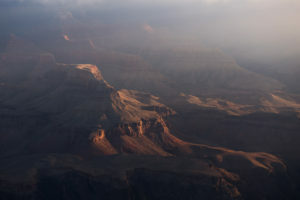 Grand Canyon National Park on NPS.gov – Get information straight from the people who know best. 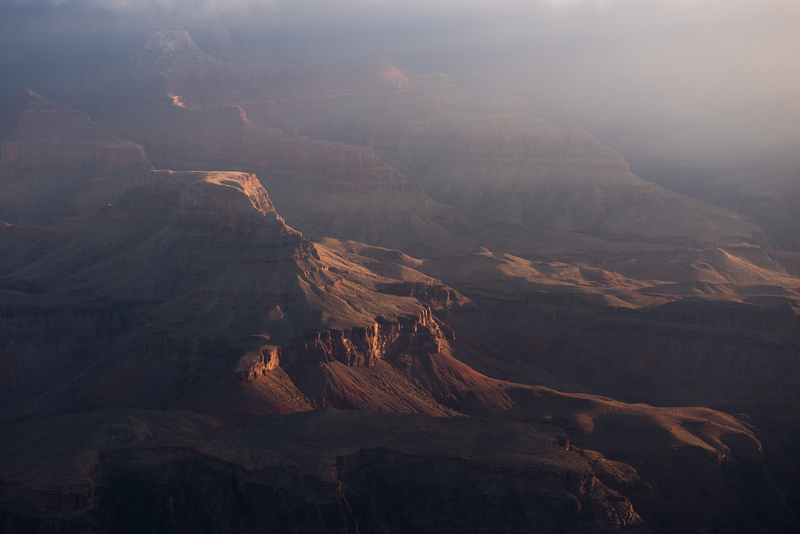 My Grand Canyon National Park Gallery on Flickr – A collection of my photos from this trip on Flickr. My Grand Canyon National Park Pinterest Board – My collection of other people’s photography from this park.